Acupuncture is one of the commonly used therapies in Traditional Chinese Medicine [TCM]. 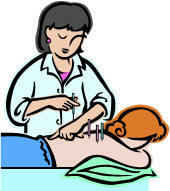 Its methodology is to insert a needle in specific points on the skin to stimulate meridians in the body (Fig. 1). Meridians are the highways of vital energy flow in the body and it is like an energy network that connects the body surface with the inside organs and links the organs to other functions. There are 20 major meridians in the body - heart meridian, small intestine meridian, lung meridian, large intestine meridian, kidney meridian …… to name a few. Some meridians go from the chest to the arm or from the arm to the head. Others go from the head to the feet or from feet to the organs inside of the body. There are more sub-meridians linking the major meridians with each other and links the outside with inside organs. There are many acupuncture points on the pathways of the meridian. Acupuncture works on these acupuncture points. The number of acupuncture points has been noted to be more than 360 so far. More points have been found in recent years. The simplest way to decide the acupuncture points is to choose the points that are close to the disorder. For example, we can use the acupuncture points in the head to release migraines, and we can choose the points in the stomach for stomach pain or losing weight. Meridian and acupuncture points have close functional relationships with the inside organ system as its name indicates. For example, acupuncture points in the kidney meridian can be used to treat disorders in the TCM urinary system such as the inability to urinate; infection in the urinary bladder; infertility; reduced sexual ability; poor memory; weakness in bone and teeth; reduced hearing ability; and so on. TCM kidney system includes urination, reproduction, bone development and maintenance, and brain functions. The amount of energy flow in the meridian and the inside organ system are parallel and is time-related (see below). For example; between 5 pm to 7 pm is the time when the energy flow reaches peak in the TCM kidney system, at the same time, the energy flow also reaches its peak in the kidney meridian. Acupuncture, at this time on the kidney meridian, yields better healing results for the disorders outlined by the TCM kidney system. There is a co-operative relationship between the meridians. It is called brother-sister relationship. The kidney and bladder meridian have a brother-sister relationship. As does the liver and gal bladder meridian, the heart and small intestine, the lung and large intestine, the spleen and stomach meridian. If there is disorder in a TCM-defined system, for example the TCM kidney system, we can perform acupuncture by choosing the acupuncture points in its brother-sister system - the urine bladder system. Beside the Yin-Yang theory, another important theory that guides Traditional Chinese Medicine practice is the Five-Element theory (see our website for the introduction to the Five-element theory). The Five-element theory makes the principle Yin-Yang theory more practical. According to this theory, the five major functional systems, e.g. the kidney/urinary bladder system, the heart/small intestine system, the liver/gall bladder system, the lung/large intestine system, and the spleen/stomach system have either an enhancing or an antagonizing relationship. Correction of a disorder in a TCM organ system is reached by working on another organ system, on the related meridian points, depending upon the nature of the disorder. For example, if there is a “fire” syndrome in the TCM lung system (cough, yellow phlegm, dry mouth, fever, chest pain, etc.,) the lung system belongs to an “excess” condition. Acupuncture is applied to the acupuncture points in the kidney and/or urine bladder meridian. This is because the TCM lung system normally, helps, nourishes, or enhances the TCM kidney system. The lung is the upper water source and the kidney is the water lower pool. To remove the “fire” in the TCM lung system, we can also use acupuncture on the points in the heart-small intestine meridian. The reason for this is that the TCM heart system normally resists, prevents, or blocks the function of the TCM lung system. However, if the disorder in the TCM lung system shows symptoms of chronic cough, slight chest pain, with water-like or white coloured phlegm, also with low fever or hot at night, the lung system shows “weakness”. Therefore, we may use acupuncture on the TCM spleen system, using the acupuncture points on the spleen-stomach meridian. The reason being, the TCM spleen system normally nourishes the lung system. Working on the spleen-stomach meridian reduces the production of phlegm. The spleen system is the source of phlegm production. It is believed that if something comes from the same source, any smaller part contains the same information as the whole. So, the face, feet, palms, an ear, back, belly, fingers, an arm…contains the same information as the body. Each small part connects or communicates with the whole body. This is the theoretical basis for reflexology, ear acupressure, face prediction, tongue diagnosis, etc. It is believed that the acupuncture points can be chosen from any small part of the body to treat the disorder of the correlated part of the whole body. For example, if the first bone of the thumb is imagined as a small human body, the fingertip represents the head, the wrist represents the feet, mid section represents the waist. A needle at the end of the small bone treats disorders in our feet. Similarly, we can regard the forearm as the complete body. The wrist, represents the head, the elbow represents the feet. 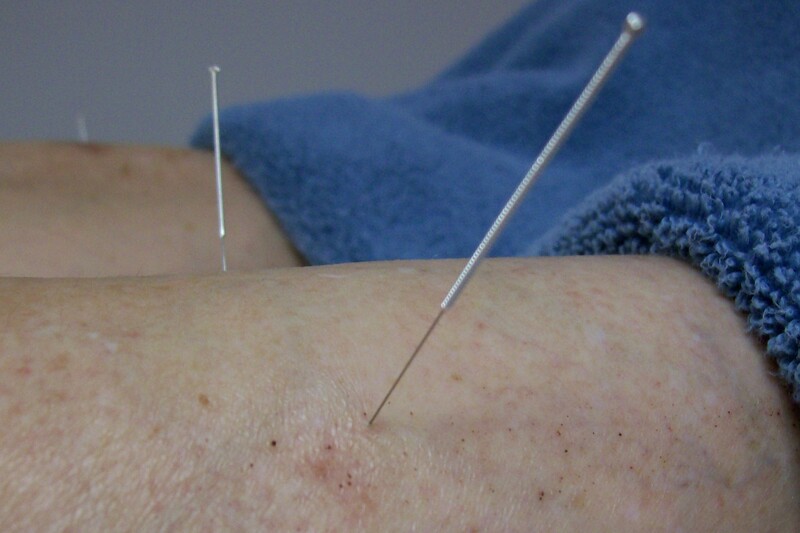 We can use a needle at the elbow to treat the disorder of our body as well. Perhaps the best application of bio-holography theory in the human body is the ear acupuncture/acupressure. We can find almost all of the points that represent the most important parts of our whole body, from arm to leg, finger to toe, stomach to brain stem, etc. This means choosing acupuncture points in opposite parts of the body. For instance, if there is pain in one shoulder, we can use the acupuncture points in the other shoulder, e.g. left-right side mirror. If the pain is in one hip, we may also use the acupuncture in the shoulder of the same side, e.g. the upper-lower mirror. In the left-right side mirror, we usually use the acupuncture points in the normal side, not touching the disordered side so that the disordered side gets indirect stimulation. The urinary bladder meridian is one of the longest meridians in our body. It goes from the head to the back, then down to the feet. Each organ in the body - heart, lung, spleen, liver, kidney, - has a represented point on the urinary bladder meridian [the back part of the body]. Working on this representational point could treat the disorders of internal organs. For example, if one has stomach pain, we can choose the stomach point on the urine bladder meridian on the back to effect a change. Based on clinical experience, sometimes an acupuncture point is used specifically for treating some disease conditions. 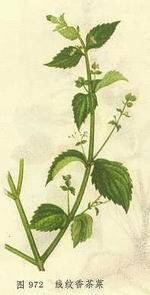 Some points are good for the treatment of sweat, abortion, headache, nausea, sleep, etc. This has been well documented in acupuncture textbooks. Due to the multiple choices for acupuncture in the treatment of various disorders, the methods that acupuncturists use can be quite different. This is based on their diagnosis, perception, clinical experience and the ability to apply TCM principles. Sometimes the choice may be one or two point combinations and at other times, there may be four or more combinations. No matter which way it is applied, the less the needle is used, the better! Choosing the right acupuncture points for treatment is one-step in the healing by acupuncture. The effect of acupuncture also depends upon the grouping of the points, the sequence of the needle on the points, the starting time during the day, the depth of the needle, the handling of the needle (twist or insert), the force on the needle, the duration of the treatment. It is a personal art! How Do We Know There Are Meridians In The Body? The Chinese have recognized the presence of meridians in the body for more than five thousand years. For the past 50 years, medical researchers have found that after stimulating the acupuncture points, about 12 – 24% people experience a feeling. This is called meridian feelings. These feelings move, almost exactly, through out the meridian distribution pattern in the body. The speed of the feeling movement is far less (0.1 meter per second) than the signal conduction through a nerve (1 to 100 meters per second). The meridian feelings could move in one direction, or in two opposite directions. Usually it is about 2 to 5 mm broad (someone may feel about 1 to 3 cm broad). The meridian feelings are dependent upon the way the meridian is stimulated. If stimulated by needle, one may feel sour, bloating, itching, numbing or small insect movement. If stimulated by moxibustion, one feels a warm flowing movement. The meridian feelings can be blocked if there is skin change caused by a surgical cut, scar, tumor or abscess. It can also be blocked if, in front of the meridian direction, there is mechanical pressure (by hands or other materials), infusion operation, ice cooling or brushing manipulation etc. Researchers have also found that by stimulating with the needle, the skin on the meridian pathway could show as a thin line of white or red colors. It can last for more than ten seconds to several hours. When the meridian feeling moves to the jaw, one may feel sour in the lower teeth; to the lips - feel lip “bloating” or becomes “thick”; to the throat – a dry feeling; to the face - feels face muscle jumping, etc. When the feelings move to the lung, it was tested and showed that the air ventilation volume increased from 5.25 ml to 7.3 ml per min. When it moves to the stomach, one feels warmth in the stomach - when it moves to the heart, one may feel a clear feeling in the heart (especially for one with coronary heart disease) - when it moves to the kidney area, one may feel sour - when it moves to bladder, one may feel the desire to urinate. People having such meridian feeling usually have favorable acupuncture treatment results. When it moves to the pain area, the pain usually disappears or reduces dramatically. Such meridian feelings can be found in both ‘normal’ people and patients, though the feeling might be less apparent in the patient groups. According to the description of the meridian in the TCM “bible”, the meridian consists of both the blood circulation and nerve systems in the body. Some meridians may also involve the lymph system. It is found that one may feel more pain if the needle touches a blood vessel, or feel numbness if the nerve branch has been touched. One may mostly experience a sour feeling in the mouth when the needle touches the muscle or tendon. The acupuncture effect can disappear or be reduced when the somatic nervous system (the nervous system that controls our limb movement) has been cut or blocked. In some cases, such an effect happens when all of the somatic nerves, including the ones covering the outside of blood vessels are also blocked. The acupuncture effects are also associated with the peripheral autonomic nervous system (the nerve system that controls heart beat, breathing or bowel movement etc.). Blocking this system, by cutting or chemical injection, could remove the acupuncture effects as well. Acupuncture can increase the content of 5-hydroxytryptamine (5-HT) and acetylcholine in the brain. 5-HT and acetylcholine are important neurotransmitters in the nervous system and they are important factors in releasing pain. The effect of acupuncture in releasing pain is closely related to the amount of monoamine contained in the nervous system. When the reservoir of monoamine is exhausted, the pain releasing effects of acupuncture can no longer be induced. Therefore, the function of acupuncture in reducing pain is believed to be similar to that of morphine. Acetylcholine injection into the brain could increase the pain threshold and this effect can be amplified by acupuncture. It is well known that the amount of 5-HT and catecholamine have opposite effects for pain. More 5-HT, for less pain, whereas more catecholamine, for more pain. Acupuncture can decrease the amount of catecholamine in the peripheral blood. Acupuncture also increases the amount of endorphin [another neurotransmitter for reducing pain] content in the brain and in spinal fluid. Acupuncture improves the function of the adrenal cortex. It has been found that acupuncture stimulates the secretion of Adrenocorticotropic hormone (ACTH) from the anterior pituitary. ACTH stimulates more secretion of adrenocortical hormones, including corticosteroids, which influence metabolisms of water and salts in the body. Acupuncture also influences adrenal medullin, showing increased epinephrine and norepinephrine cell production. Acupuncture on experimental animals experiencing shock, resulted in increased blood sugar levels, lactic acid, pyrovate, as well as reducing the level of liver glycogen (the sugar stored in the liver) and muscle glycogen. This suggests that acupuncture could help the body make the stored energy available during extremely stressful body conditions. Acupuncture also stimulates the production and secretion of the thyroid hormone. So, it is useful in the treatment of the simple goiter. After stimulation, acupuncture facilitates bi-direction adjustment of blood sugar levels: it increases the blood sugar level in those who have previously low blood sugar levels and reduces blood sugar levels in those who have high blood sugar levels. Acupuncture is also used for the treatment of infertility. Experiments show that acupuncture stimulates ovulation, affecting the development of reproductive organs. It stimulates loydig cells in rabbit ovaries into luteal. Luteal insufficiency is a condition in which the secretion of estrogen, progesterone from the luteal is inadequate. It is one of the important disorders leading to infertility. Acupuncture has been used in Traditional Chinese medicine for patients in shock. Stimulating the acupuncture points commonly used in such clinical emergencies were used to improve the function of posterior pituitary to increase blood pressure. It also increases the secretion of anti-diuretic hormone from the pituitary. This hormone helps to reduce urine, maintains the blood volume and is so helpful for shock recovery. (1). Acupuncture can be used in the treatment of various pain syndromes. Acupuncture has been widely used in the release of pain in the head, neck, lower back, arms, legs, feet, stomach, urinary tract, whether or not the pain is induced due to inflammation, infection, mechanical cut, press, twist, bruise or due to surgery or cancer. Experiments show that acupuncture can increase the pain threshold in the body. Therefore, under the same level of pain stimulation, the experimental animal shows less signs of pain. Acupuncture influences many aspects of body functions, such as anti-inflammation, anti-infection, stimulating endorphin secretion etc. All could contribute to releasing pain. (2). Acupuncture can adjust the function of various organs. (2a). Acupuncture can improve microcirculation of coronary arteries. In a study of 621 coronary patients, acupuncture reduced the heart pain in 89.2% of patients. After acupuncture, nitroglycerin has been stopped or reduced in 93.6% of patients. ECG monitor showed that 53.2% of patients have improved ST segment in their CEG after acupuncture. This suggests improved coronary blood circulation after acupuncture. Acupuncture is shown to correct arrhythmias (heart beat disorder). It is most effective in the arrhythmias caused by hyper-excited cells. The acupuncture sedates these cells so they beat at a more normal rate. The effective rate for premature ventricular contractions was 85.7%. It is interesting to note that acupuncture does not affect the normal heartbeat rhythm. (2b). Acupuncture can correct blood pressure. Its effect is bi-directional. It reduces the blood pressure in patients with high blood pressure (hypertension) and increases blood pressure in patients with low blood pressure (hypotension). In 230 hypertension cases, the effective rate was reported as high as 77.3%. When used in shock treatment, the blood pressure increased in 87.5% of patients (total 160 cases). Such an effect has been proven in many animal studies. The mechanism by which acupuncture reduces blood pressure is believed to be due to the transduction of the stimulating signal from the acupuncture points to the brain (mainly the net structure of the brain stem). This sparks a stimulated pulse in the sympathetic nerves, causing contractions in the peripheral small blood vessels, increases resistance in the blood vessel walls and improves the rhythm of the heartbeats. The increased blood pressure effect can be further strengthened by increased secretion of vasopressin, an anti-diuretic hormone and adrenal cortex hormones. Whereas, the mechanisms by which acupuncture reduces blood pressure, it is found to stimulate the vagus nerve. It increases the blood level of acetylcholine and reduces catecholamine. It was also found that along with the reduction in blood pressure, endorphin levels were reduced. (2c). Acupuncture can reduce or stop asthma. Acupuncture completely stopped the onset of asthma in 27 patients, 50 patients dramatically improved and 39 patients showed no change (total 116 cases). It is believed to be due to the decreased signal in the vagus nerve and an increased signal in the sympathetic nerve in the respiratory system. This causes a reduction in spasms of the trachea, contractions in the blood vessels, reduction in the secretion of mucus and an increase in air inhalation and exhalation. (2d). Acupuncture works well in the treatment of chronic gastritis, gastric nervous pain, gastric spasm, gastric ulcer and gastroptosia. Experiments show that acupuncture can speed up the healing of gastric ulcers in experimental animals. Stomach spasms tend to loosen [in less movement they move more, in excess movement they move less] and open the pylori valve. Acupuncture also stimulates the secretion of gastric fluid and the amount of pepsin (an enzyme for protein digestion). The effect of acupuncture on gastric acid secretion is bi-directional. It makes the stomach, which was previously low with gastric acid secretion, secrete more gastric acid and one with previously high gastric acid secretion, secrete less. Such findings may explain why acupuncture can be used for the treatment of various gastric disorders. (2e). Effects of acupuncture on appendix, small intestine, large intestine and colon are similar. Acupuncture slows down the excess movement of the gastric ducts (clinic condition of stomach pain and/or diarrhea) but improves the movement of the gastric duct that has been in slow motion or no motion (constipation). Acupuncture stimulates movement of the gall bladder and bile duct. It stimulates secretion of bile juice and relaxes the Oddi muscle (sphincter), the muscle controlling the opening and closing of the bile duct. Therefore, acupuncture is an effective treatment for gall bladder stones, bile duct stagnation and inflammation. This may partly explain why acupuncture can also be used in the treatment of acute jaundice hepatitis. In a study of 212 patients with acute hepatitis, 177 were cured, 34 improved, 1 failed. (2f). Acupuncture can adjust the function of kidney and urinary bladder. Acupuncture is commonly used in the treatment of enuresis [bedwetting], urinary incontinence, urinary retention and difficulty in urination. It has been reported that when applied to patients with urine retention after surgery, acupuncture was successful in 89% to 95% of cases. Acupuncture has been reported to stimulate the secretion rate of urine and reagent phenol red from the kidney and reduce the amount of red and white blood cells and the protein content. In the same report, the values of blood pressure in patients were reduced and the swelling was improved. The effect of acupuncture on kidney function is believed to be due to nerve reflection. The effect of acupuncture on the urine bladder is similar to its effect on gastric ducts, bi-direction adjustment. Therefore, it is used in both urinary retention and incontinence. (2g). Acupuncture can stimulate contraction of the uterus and is used after childbirth. This creates an effect similar to oxytocin. The effect is due to the stimulation of the nerve system and to the secretion of hormones from posterior pituitary in the brain. (2h). Acupuncture could affect the stimulation and depression of the brain cortex. It makes the wave in the electroencephalography of epilepsy patients to be more regular and reduces their pathological brain voltage. In clinics, acupuncture is used in the treatment of depression, sadness, anxiety, irritability, and insomnia. (2i). Acupuncture can clearly influence the number or contents of various blood cells, such as platelets and red and white blood cells. When used in patients with low white blood cells, caused by radiation therapy, the effective rate was reported at 90%. The effective rate in patients with tropical eosinophilia was reported at 100%. The effect of acupuncture to blood cells and palettes are bi-directional. It caused the previous high number to decrease and the low number to increase. Acupuncture increases the number of reticulocyte in the peripheral blood stream of patients with iron deficiency (anemia) suggesting that acupuncture stimulates red blood cell production in the bone marrow. Acupuncture is also used in the treatment of hypersplenism (too low number of white blood cells, red blood cells, platelets in the blood) and thrombocythermia (too many platelets in the blood) following the removal of the spleen. The effect of acupuncture on the blood cells, as for its many other effects on the body, requires the integrity of the nervous system, in structure and function. Stopping the signal transduction in the nerve stem or in the acupuncture point by using anesthesia sic chemicals, or suppressing the function of the brain with whole body anesthesia, blocks the acupuncture effect on the number of the blood cells. (2j). Acupuncture may reduce blood sugar level. In a study involving 24- type II diabetes, the total effective rate is 79.16%. On the other hand, acupuncture increases blood sugar level in patients in shock. Animal studies show that conditions in experimental dogs with high blood sugar (after injection of epinephrine) or with low blood sugar level (after injection of insulin), acupuncture reduced or increased the blood sugar level, respectively. In patients with hypertension, acupuncture increased blood insulin level and reduced blood sugar level. Acupuncture also increases blood calcium level. When used in 12 cases with muscle spasm due to low blood calcium level, acupuncture stopped the spasm and corrected the blood calcium level. Experiments also showed that acupuncture could stimulate secretion of a parathyroid hormone, causing an increase in the calcium and phosphorus level and a decreased level of alkaline phosphatase in the blood. This might be one of the mechanisms by which acupuncture improves the growth of a child. (2k). After acupuncture, blood sodium may decrease and potassium increase. Though the effect of acupuncture on blood calcium level is more dramatic. (2l). Acupuncture reduces blood transaminase in hepatitis patients. Cholesterol and beta-Apo lipoprotein in cardiovascular disease. It also affects blood levels of lactic acids, pyrovate, acetic acid and histamine. In summary, after acupuncture stimulation, various chemical and bio-chemical agents in the body could be changed. Often their change is paralleled to the improvement of clinical disorders, tending to be within the normal range. This is a common rule and reproductive. However, the effect of acupuncture on other patients is not so regular, nor is the change as dramatic. Acupuncture is used to prevent flu, malaria, and asthma. It is used to treat those diseases caused by viruses e.g., cold, mumps, hepatitis caused by bacteria, bacillary dysentery, colitis and tetanus. It is wildly used in the treatment of acute or chronic pharyngitis, dysentery, colitis, gastritis, otitis media, urinary infection, mastitis and so on. Experiments show that acupuncture influences the three major steps in the inflammation and increases the function of body defense system. Acupuncture was used on 645 patients with bacillary dysentery, all with a positive bacteria culture report. Acupuncture was applied once to three times per day for 10 days. 92.4% of patients were cured. It was found, in 50 patients tested, that blood level of serum albumin, total complement, immunoglobulin, specific antibody, Lysozyme, stool IgA content and liver reticuloendothelial system function test, all increased. Other studies showed that acupuncture increased the blood level of Dernonectin, cholinesterase, IgG, as well as T lymphocyte activation rate and positive rate of rosette test. All of the studies suggest that acupuncture could increase the function of body defense system, humoral immunity or cellular immunity. It is important to note that the effect of acupuncture on body function has multiple aspects. They work in different ways to adjust disorders in the body and increase the defense ability of the body. Although, there have been many studies done in past 50 years, both within China and outside China, they point out that acupuncture affects the body function in various ways. There still remain many questions, which cannot be answered by current research data. The acupuncture healing effect is very much an acupuncture point-related clinical phenomenon. Without inserting the needle into the correct point, there is very little or no healing effect. Also, not every acupuncture point can be used to treat the same disease or syndrome. There are some acupuncture points that are much more effective in treating certain kinds of disease or pain. These points are often located far away from the pain or disorder in the body. For example, some points in the feet have excellent effects in releasing migraine. Some points in the leg are good for eye function and some points in the hands are good for the treatment of lower back pain. It is difficult to explain the specificity of acupuncture points, which stimulate automatic body nerve systems. This is very common when choosing acupuncture points in clinical work. With the application at the same acupuncture point, by changing the direction of the acupuncture needle tip, for instance, towards or away from the heart, could yield the opposite healing effect. Also, by using the same acupuncture point and manipulating the needle by quick insertion and the slow removal, or by fast removal and slow insertion, the needle could also yield a different healing effect (warming or cooling the body temperature). As we have introduced above, the acupuncture healing effect is bi-directional. Using the same acupuncture point, the effects are dependent upon body conditions. For instance, if the heart beats too fast, acupuncture on the specific acupuncture point may slow it down. On the other hand, by using the same acupuncture points, the heartbeat may be increased if the original heartbeat is too slow. Such is the specificity of acupuncture, that it is hard to explain that by stimulating the nervous system or blood vessels, because the needle is still touching the same nerve stem. Again, the needle has to be inserted deeper in winter and shallower in summer to gain the same healing effect. We cannot expect that the nerve or blood vessel is deeper in winter and floating on the surface of the body in summer. Furthermore, the meridian feeling after acupuncture stimulation does not always follow the pathway of the nerve system or the blood vessel. There is one meridian, for example the urinary bladder meridian, which starts from the inner corner of the eye, goes to the top of the head, down the neck, along the side of the spine mid line and down to the feet. We cannot find any nerve or blood vessels traveling along this pathway. It is still very hard to understand that the acupuncture healing effect is a time-related phenomenon. First of all, for acute clinical conditions, such as acute pain or common cold, the application of the acupuncture needle in the body should and can be as short as minutes. But for chronic conditions, such as chronic migraine, chronic diarrhea, or other chronic conditions, it is beneficial to keep the needle inserted in the points for more than 28 minutes. Also, for the best results, different diseases require acupuncture at different times of the day. For example, kidney disease between 3 pm to 7 pm – heart disease from 11 am. It would be very strange if acupuncture would not affect the nerves or blood vessels in the body. However, by stimulating the nerve system, blood system, lymphatic system, endocrine system, by acupuncture, alone or in combination, still cannot explain the phenomenon induced by acupuncture. (2). Current researchers fail to find an explanation for the mechanism by which acupuncture works. Traditional Chinese Medicine has its own explanation. Traditional Chinese Medicine found that there is a vital (life) energy flow network in our body (also in all animals). This energy network conducts energy flow and exchange between inside organs, tissues, and outside muscles and skin. Acupuncture points are the spots on the meridians for such energy exchange and passing. They are also points where the body exchanges energy with outside nature. Because of this, the depth of the meridian in the body changes according to the seasons: deeper in winter, shallower in summer. Traditional Chinese Medicine believes that the Yang (warm) energy is deeper in the winter, but more towards the surface of the body in summer. Current science has found that in the body, the physical ability curve, emotional curve, memory curve, menstrual curve are influenced by nature, as is the meridian position. The energy flow in the meridian follows a rule: traveling from chest to hands, hands to head, head to feet and from feet to the inside organs in the abdomen. The flow in the meridian is also a time-related phenomenon. It flows 3am to the lung meridian, 5 am to large intestine meridian, 7 am to stomach meridian, 9 am to spleen meridian, 11 am to the heart meridian, 1 pm to small intestine meridian, 3 pm to the urine bladder meridian, 5 pm to the kidney meridian, 7 pm to the pericardium meridian, 9 pm to triple meridian, 11 pm to the gall bladder meridian, and 1 am to the liver meridian. It will be easier to get the acupuncture feeling and the healing effect if the needle is applied to the acupuncture points on the given meridian during the time when the energy flows into that meridian. Time medicine is very important in acupuncture. Here is an example that may help you to understand the structure and function of the meridian in the body. An efficiently run country, business, company, or social unit requires constant communication between the head office and the various levels of operation. Wire communication by phone or driving on highways to facilitate personal contact, works like our nervous system. Both require concrete material to fulfill the communication. Communication can also be completed through wireless systems such as satellite conduction. The wireless communication works similarly to that of the meridian in the body. It does not need a concrete wire connection to complete the communication. It would have been extremely difficult to explain the structure and function of the meridian prior to the introduction of wireless communication. It is more and more accepted that the development of current science as a whole, tends to support the findings in Traditional Chinese Medicine. This is true, even with the current science finding genes in the body which cause disease. Traditional Chinese Medicine has well documented that disease can be due to the presence of some genealogical factors from the beginning of life.